What’s more utilitarian and stylish than a jumpsuit? 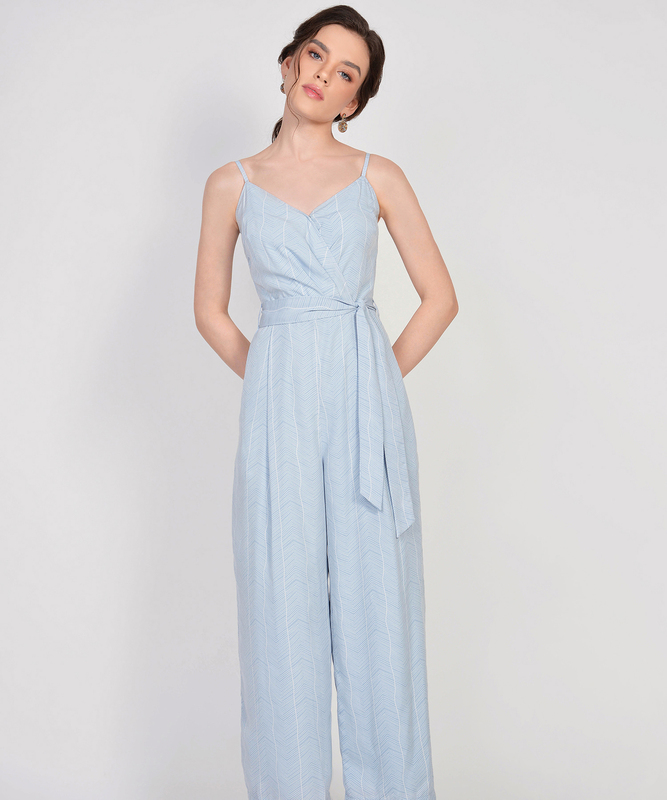 This comfy one-piece can be your weekly go-to outfit for casual fridays and festive gatherings. It’s fuss-free, uncompromising and you can definitely count on it to feel at ease. Pit to pit 15.5" 16.25" 17.25" 18.25" 19.25"
Rise 13.25" 13.5" 13.75" 14.25" 14.25"
Thigh 13.25" 13.75" 14.25" 15" 15.5"
Inseam 25.5" 25.5" 25.75" 25.75" 25.75"
Pit to waist 7.5" 7.5" 7.5" 7.75" 7.75"
Pit down 45.5" 45.75" 46.25" 46.5" 47"